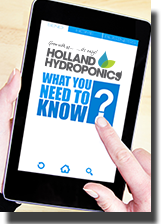 The Cool Shade complete system helps you maintain the correct temperature in your grow room. Its patented tubular design works with an inline duct fan (sold separately) to actively air-cool the bulb and channel excess heat away from your growroom. The Cool Shade houses a removable internal reflector. 6" diameter, 52cm in length.